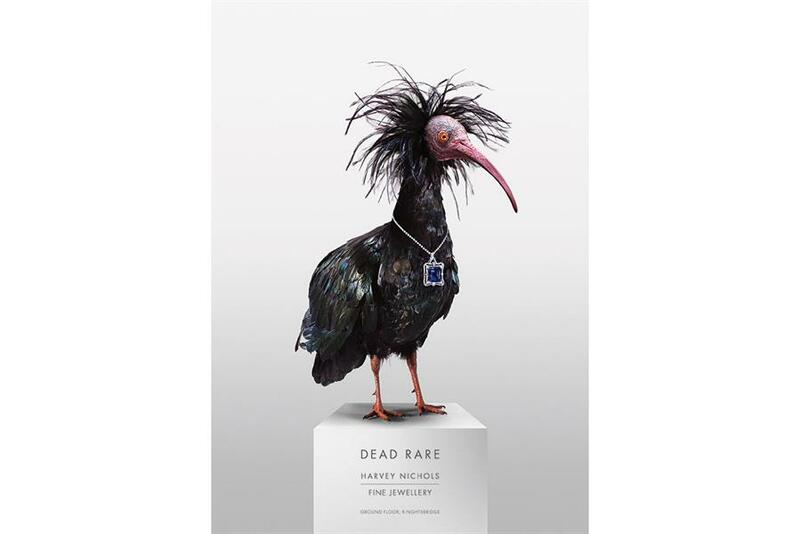 Harvey Nichols ran a tongue-in-cheek campaign to celebrate the store's rare jewellery collections. The ad features a Northern Bald Ibis, which is considered critically endangered, wearing an equally rare tanzanite necklace. It ran in The Mayfair Magazine, FT How to Spend It, Tatler, Harper’s Bazaar and Atlas (Etihad’s in-flight magazine). Henry Westcott and Eduardo Balestra created the ad at Adam & Eve/DDB.